Summer is a great time to spend outdoors grilling food for the family. Grill safety tips will keep you, your home, and your family safe when you decide to throw some burgers on the flame. 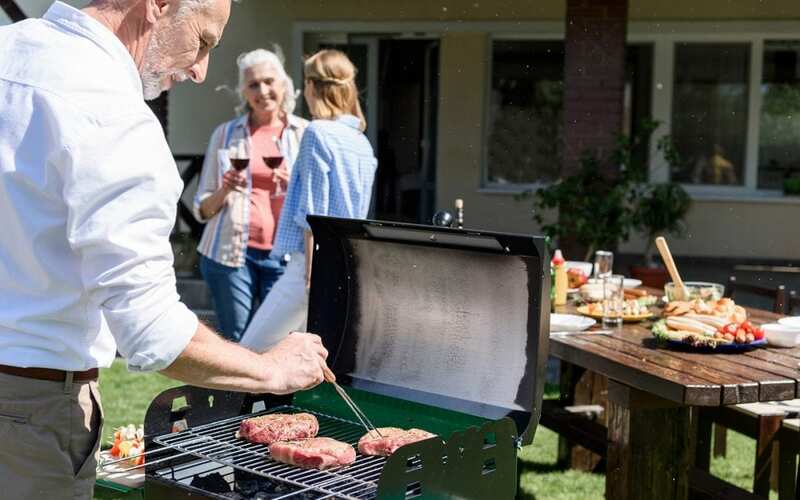 The first thing you should do is move the grill at least 10 feet away from your home. If there are sparks or flames, you don’t want them to catch on the house or anything nearby. The grill should always be cleaned before you use it. When you clean a barbeque grill properly, you get rid of any burnt pieces or grease left over that could catch on fire or cause a lot of smoke. The gas should always be turned on when you have the lid of the grill open. Otherwise, propane will build up under the lid and will cause a giant flame when lit, possibly causing burns or catching something on fire. A spray bottle of water should be within arm’s reach of the grill at all times so that you can spray down any flames that may get out of control. It’s a good idea to also have a fire extinguisher nearby. Anyone who is going to be using the grill should know how to use it. The grill should always be attended when the gas is on. You don’t know what could happen if you turn your back for a moment. If you have to walk away for one reason or another, ask someone else to keep an eye on things. Otherwise, oil could drip onto a flame and everything gets out of control. Fires can be avoided simply by keeping everything under control. You want to have a memorable summer with plenty of cookouts on the grill with family and friends. When you practice a few grill safety tips, it will minimize the chances you’ll have any major problems when grilling. InspectorUSA serves Central Kentucky with home and commercial building inspection services. Contact us to schedule your appointment.